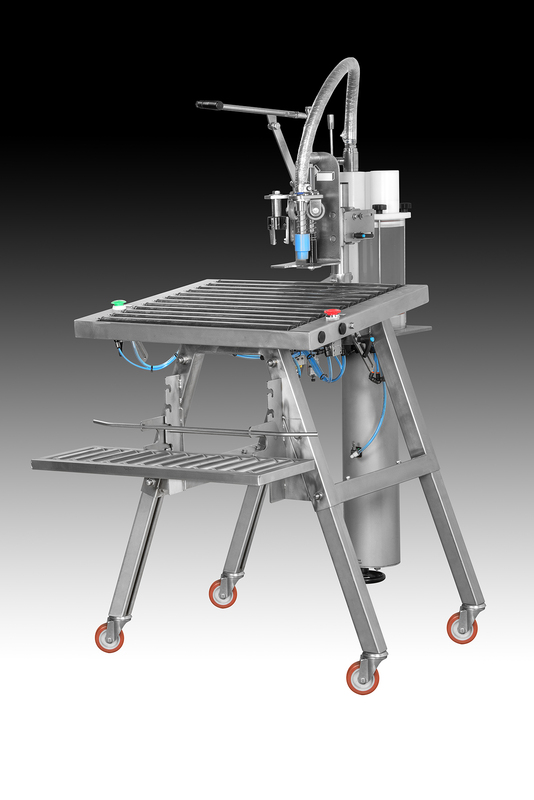 The ECOFILL EASY START FULL PNEUMATIC is a manual filler purely pneumatic, simple and easy to use that complies with the ADR. The unplugging and capping is performed using an arm auxiliary mechanically. Structure in stainless steel with adjustable roller table, support for box and wheels. Operator will position the bag in a subject and then extract the plug through the side arm. Then will displace your left arm to fit the tubing over the neck of the bag, you press the Start button start and the machine will be automatically filling the bag up to the scheduled capacity.